Here at SAMCO, we understand that your filtration needs can vary depending on particle shape, size, and physical attributes. Armed with a wide assortment of filter configurations, let our engineers help you determine the best way to remove those particles—no matter what end of the process that needs to be addressed. 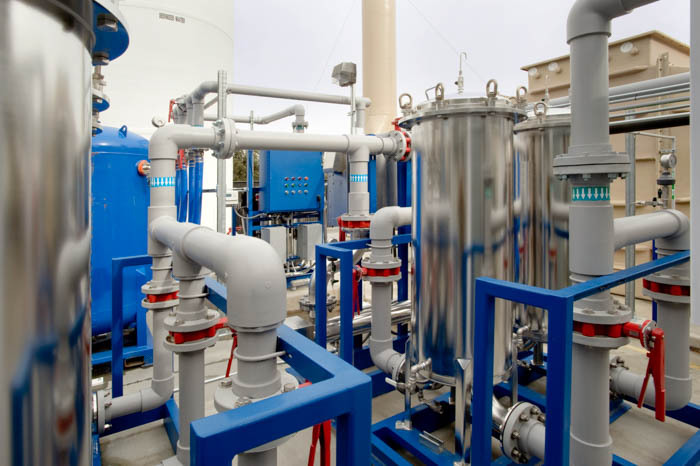 Whether you’re looking to purify your feedwater to improve the service life of your equipment, increase the efficiency of your process, or meet municipal guidelines for waste, see if our filtration technologies can help. What is the most efficient way to remove particles from our water? How can we stop our equipment from getting plugged up by particulates? What is the best way to remove particles from our cooling tower? Our plant discharge has too much TSS. How can we reduce it enough to meet municipal regulations? How can we stop fine particulates from clogging up our RO system? Still have questions about filtration technologies we offer? Contact us to see if SAMCO can answer them for you.